Most riders are also do-it-yourselfers. We would rather take on a job ourselves, whether it’s rebuilding an engine or building a backyard shed, than turn it over to somebody else. One task that can be completely deceiving, though, is changing tires. 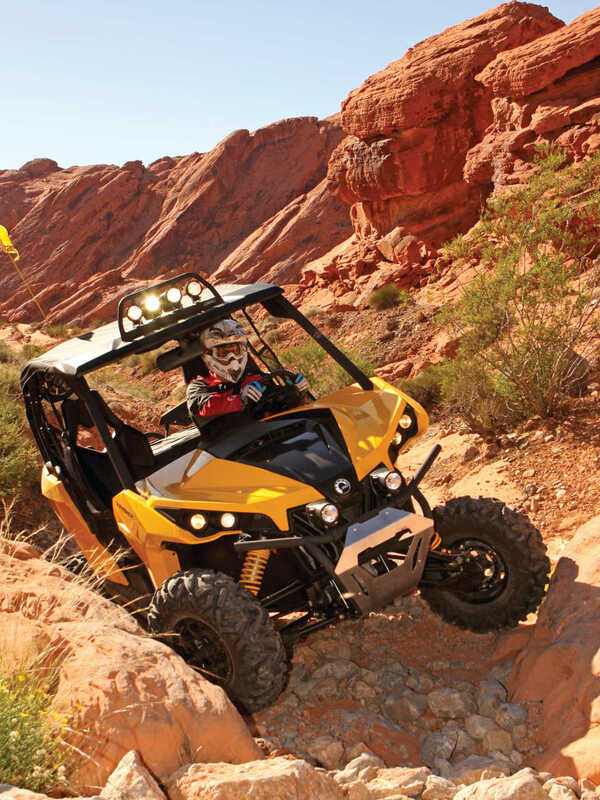 As anyone who has ever attempted to change ATV or Side x Side tires knows, there is hardly a job that appears simpler, yet has the ability to be so completely frustrating. Through the years we’ve pretty much tried every method, good and bad, to change wheels and tires, and along the way we’ve learned quite a few lessons, most of them the hard way. It’s easy enough to lift your machine off the ground and remove the wheel, but that’s where the fun begins. Getting the tire pried loose from its alligator-like grip on the rim can be nearly impossible. 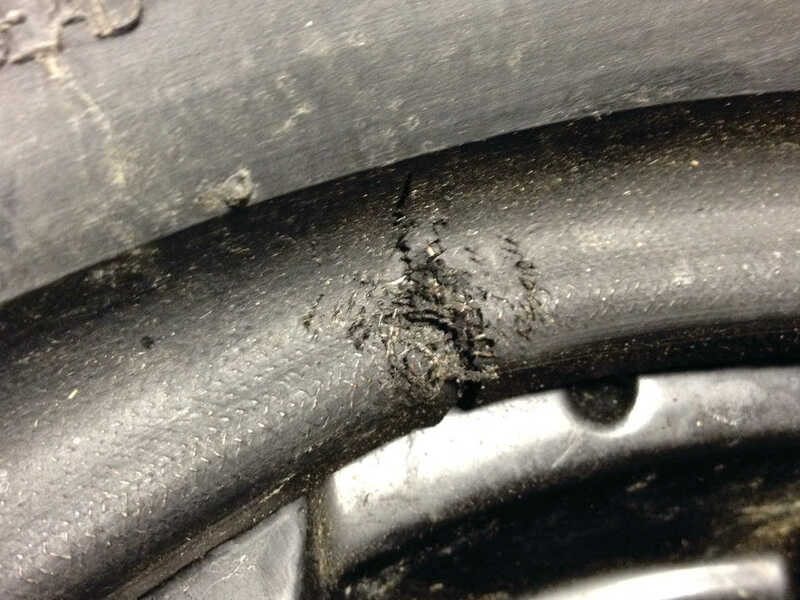 The problem is the wheel bead (that little raised bump that runs around the inside of the wheel) and the steel cords embedded in the tire. You can try prying, pushing, and praying the afternoon away and still be no closer to the goal of removing rubber from rim. We’ve even gone so far as to set a plank on the rubber portion of the tire, and then drive our truck up the plank; even then success is minimal at best. Recently, we found a tool that makes our bead breaking adventures a whole lot easier. We met Lucas from BeadBuster at the AIM Expo in Orlando, Florida. A crowd had gathered around the BeadBuster booth ready to watch them demonstrate their new tool on one of the toughest jobs in the off-road world. Like everyone else, we wanted to see just how well this product worked. This was a unique gadget with no long bars, levers, or clamps like other bead breaking systems, but its simplicity is part of the genius in its design. Lucas worked the BeadBuster between the tire and rim, then began to quickly separate wheel from tire, all to the awe and astonishment of the most amazed crowd since Harry Houdini popped out of a locked trunk in front of their great-grandfathers a hundred years ago. This tool was completely amazing! We instantly knew we needed one! As it turns out, the team at BeadBuster love to ride ATVs and UTVs too, and they’re located in Philadelphia, PA where the BeadBuster is made. Lucas and his team refer to the mechanics of their design as the “Clamp and Ram.” The clamp holds the tool against the wheel, and the ram kicks the tire off. It’s a simple yet highly effective tool that forces separation between the wheel lip and the tire bead. 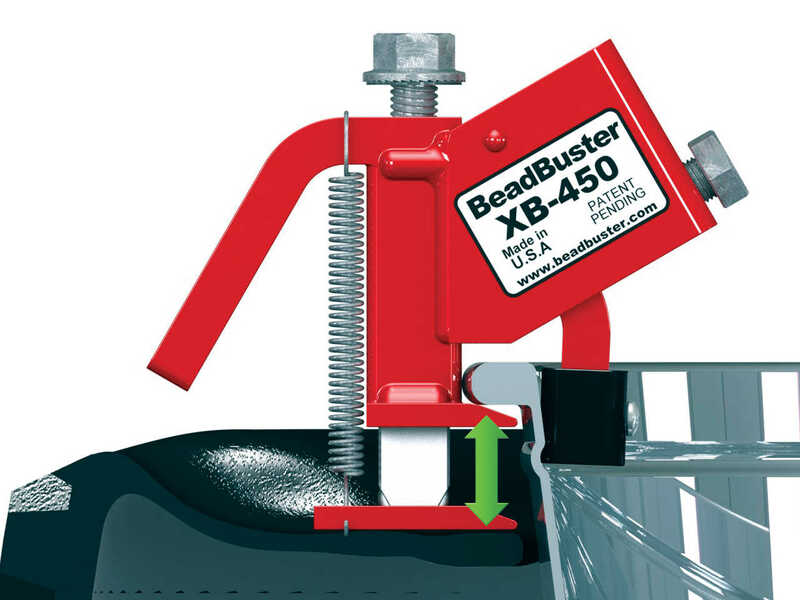 Rather than long levers, the BeadBuster gets its mechanical leverage from bolts that are threaded into the tool, applying pressure where needed. The only tool you’ll need is a ¾” socket wrench, or better yet, an electric impact. 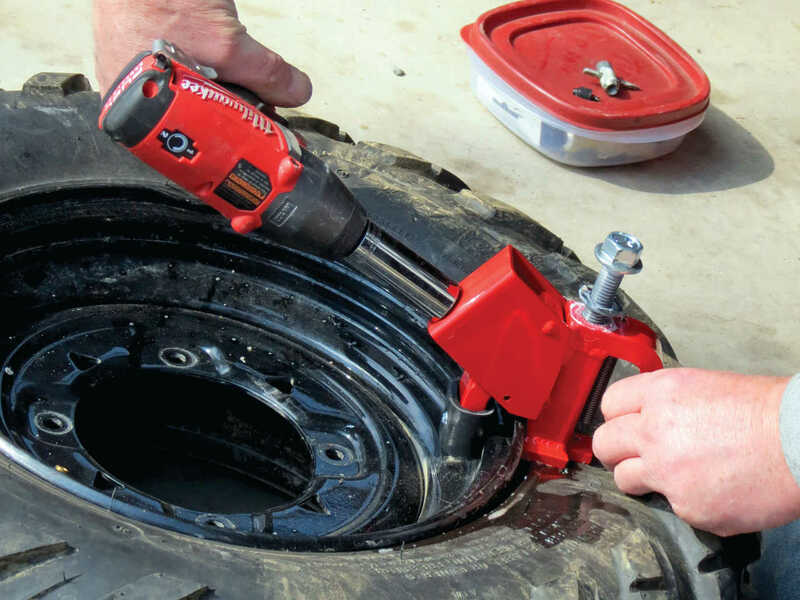 The BeadBuster also works on tires for everything from your mower to your truck, and even aircraft, although for larger tires, you may need the larger version of the tool. 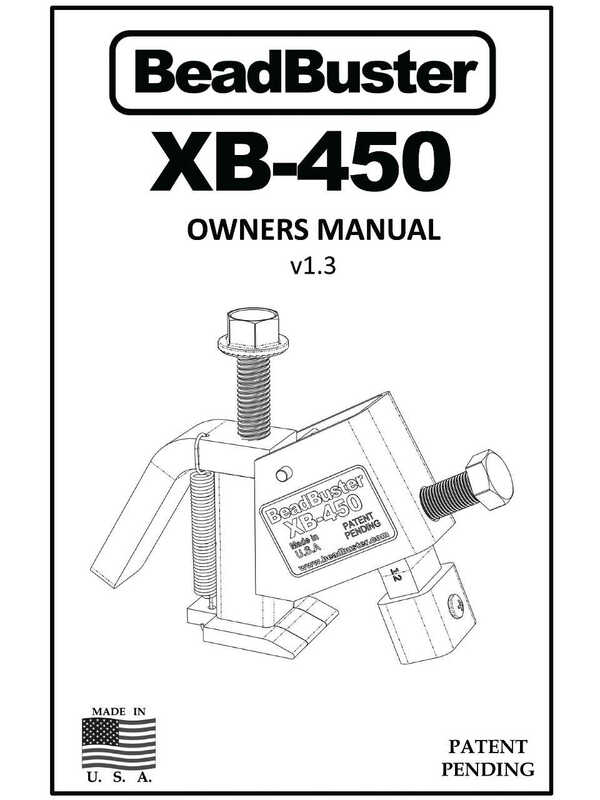 To use the BeadBuster tool, you first should remove the core from the valve stem. This allows for pressure change in the tire as it deforms during removal. Next, it’s a good idea to squirt a little soapy water around the tire and rim seal. This will help the tool slide into place. All that remains is to work the BeadBuster into the gap, tighten the clamp against the inside of the rim, and then tighten down the ram bolt to push the tire over the bead. You might have to repeat this process in a couple places around the rim to fully push the tire off, but you’ll be amazed at how well this tool works, and at the same time saddened you didn’t come up with this idea yourself. Think of the countless bloody knuckles you could have prevented, and how the neighborhood kids’ vocabulary would have not been so irreparably fouled had you only owned a BeadBuster years ago. Check to see if the tire is directional or should be mounted to rotate in a specific direction. This can usually be determined if there is an arrow on the sidewall. The arrow points forward. Brush any old rubber or sealer off the rim bead with a wire brush for a good seal. Apply a lubricant around the tire bead and push the tire over the rim. Apply the lubricant – soapy water, silicone, or gel around the wheel bead and rim. When inflating any tire onto a rim, use a generous amount of either silicone or gel lube around the wheel bead to help the tire slide over the bead easier. The steel cords inside the tire are going to need to stretch slightly, and the rubber must deform as well. Your lube choice is critical. We generally use the silicone on smaller tires and the gel type on large tires because it tends to stay in place better. Next comes the dangerous part. DO NOT lay the tire flat on the floor. If a tire would burst while lying flat, all force would be directed upwards, possibly in your direction. Inflate the tire with it standing upright. In that way, any force would be directed outward. NEVER PUT YOUR HEAD or ANY BODY PART over the tire. People have been badly injured and even killed by bursting tires. Don’t join that crowd. Use a clamp-on air chuck. 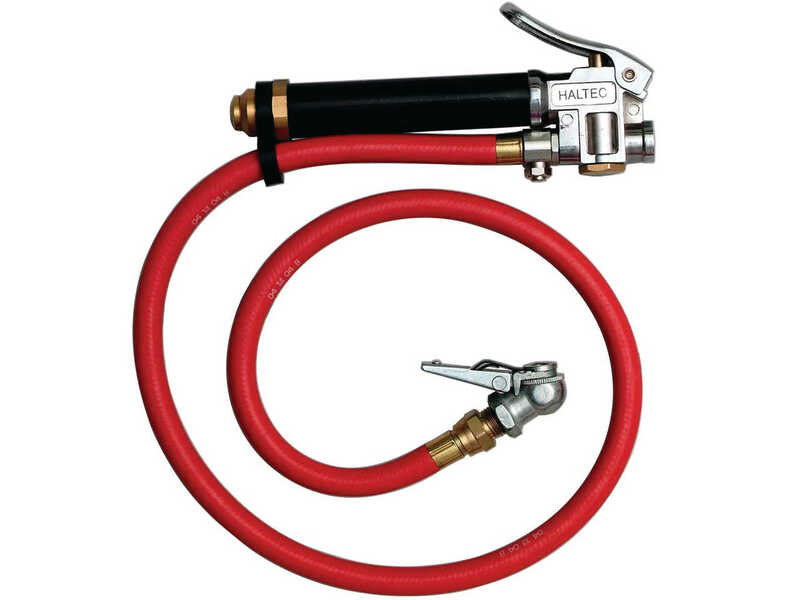 This keeps your hands out of the danger zone. 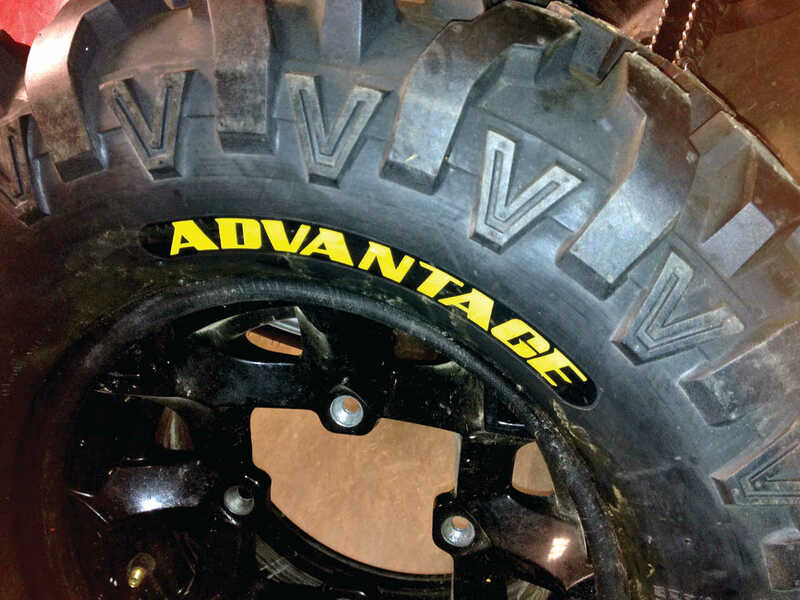 Larger, thicker tires like the 6 ply and 8 ply tires available for Side x Sides require more force to install and seat than many ATV tires. When installing any new tire, though, use caution and a few simple tips. You’ll be back riding in no time!